Hyper resonance is the sound heard by tapping on the surface of chest and abdominal region. The extreme level of resonance produced along with sound on hitting the chest and abdominal area is known as hyper resonance. The changes in the resonance upon hitting can indicate a medical condition the patient suffering from. The hyper resonance if present on the left side of chest indicates the presence of pneumothorax. The resonance sound which occurred in pneumothorax is not normal sound but it is like hollow, high and drum like sound. The hyper resonance sound produced in the chest shows the presence of excessive air present in the chest cavity. Contrary to hyper resonance the low resonance sound produce on hitting shows the pleural effusion and many other lung diseases. There are many type of resonance sounds produce on hitting i.e. flat or extremely dull sounds, dull or thud like sound, tympanic sounds and hyper resonant sound. The sound produced is different in every type. The hyper resonance is checked via percussion method. In this method two fingers i.e. index finger and middle finger are strike at the chest and abdominal region to check the type of resonance sound produced. Hyper resonance itself is the main symptom behind of many lung diseases. The chest on hitting feel hollow producing high resonance sound. The hyper resonance may show a collapsed lung or a condition named pneumothorax. A schematic drawing of a bulla and bleb, the two abnormalities of lungs may get rupture and lead to the pneumothorax producing hyper resonance. The patient may suffer from cough and phlegm in the chest region most of the time, the cough is dry. Fever can also occur along with dry cough. Pneumothorax is the only lung disease showing hyper resonance in patient. pneumothorax, tension pneumothorax, spontaneous pneumothorax, catamenial pneumothorax and latrogenic pneumothorax. Other than these types of pneumothorax causing excessive air in the chest region and producing hyper resonance, lobectomy and pneumonectomy also cause hyper resonance. Hyper resonance is also a diagnostic method for the above mentioned diseases. In order to treat the hyper resonance, the underlying disease should be treated first. According to the resonance sound produced, the disease is diagnosed and then the treatment is selected according to the disease. Mostly the medication therapy is used to cure the underlying disease along with some life style modifications. 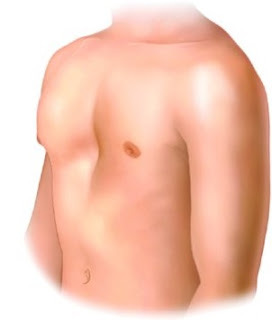 The non-surgical methods are 1st used to drain excess air from chest region. These non-surgical methods are needle aspiration and chest tube insertion. If the patient do not respond to these two therapies, then the pleurodesis is performed and last option for treatment is surgery.